In 1987 Commodore released the A500, a cheaper version of the A1000 which came in the "distinct" Commodore box. The basic system still used the 68000 processor, 512k ram, and OCS chipset but had instead of of the ZORRO slots, there was a DMA slot at the side of the machine. The operating system had been upgraded to Workbench version 1.3, which included the Amiga Command Line Interface (Shell) allowing the user more functionality. 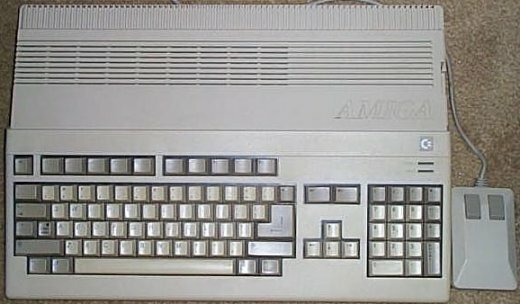 The Amiga 500 began the whole Amiga revolution and sold more than any model since.